You are here: Home / Travel / San Diego Here we Come! So, yesterday we left Van Horn, Texas still looking for San Diego, California! I think we’ll make it today! The road was pretty plain yesterday – there were a couple of interesting things we saw. We kept seeing signs warning of Dust Storms! We saw them in the fields but the signs were saying they come across the road and totally obscure your vision! 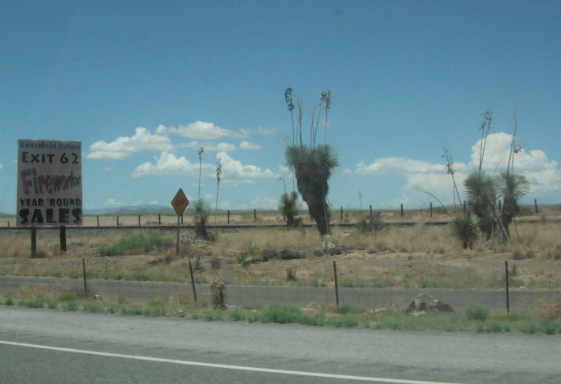 We saw cactus everywhere in New Mexico! In Arizona we saw the coolest rock formations! Thank God, we haven’t had to drive through any rain, but it was raining somewhere last night! So many pretty things all along the way – take time today to look around and see the “pretty” where you are today! I’ll be taking more pics today and the rest of the week in San Diego, so stick around! I live in San Diego! 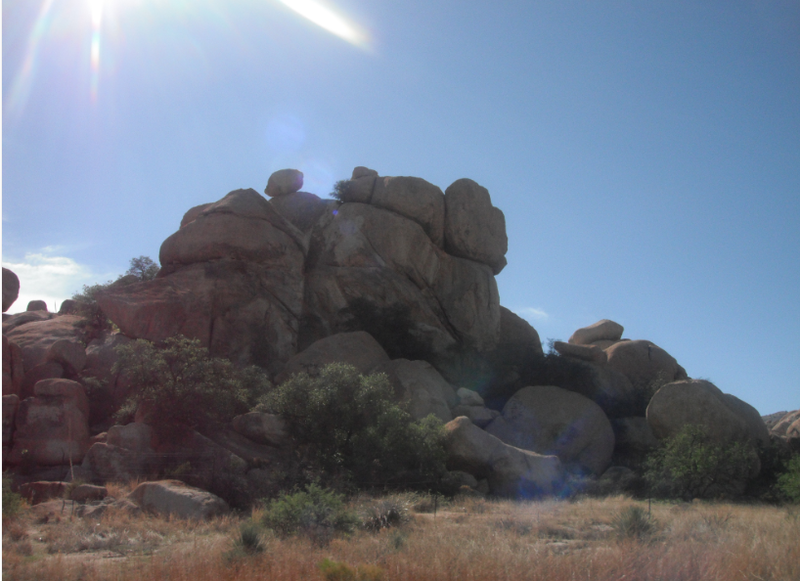 The rock mountains as you come into San Diego county are beautiful. Text me or email me if you have any questions or just plain need help. jill pena » Jill – Thanks so much! 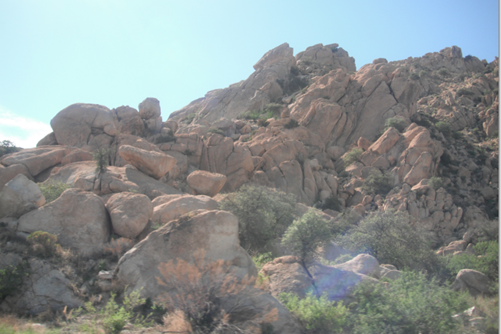 So far it is beautiful and we took TONS of pics of the rock mountains!! It is sooo much cooler than when we started out this morning, too! It is all pretty but hurry home & you can get warm, it’s 110! !